How To Use Those Very Hot Irons Properly! Sleek, shiny, straight hair can make a major impact. It’s the kind of style that somehow manages to look chic with everything from a great dress to your lazy Sunday sneaks and joggers, and it works at every hair length. Want to get the look? We talked to My Hair Doctor’s Guy Parsons to find out exactly how to straighten hair like a pro. From prep work in the shower to finishing touches, these rules of thumb give you the best way to straighten hair without causing unnecessary damage (we are working with high heat, after all!). Let’s get one thing clear: no shampoo or conditioner will give you straight hair. 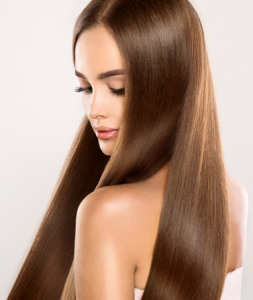 But hair care items labeled “smoothing” may be able to help prepare the strands for the process by providing major moisture. Hair that’s dried out and brittle before you even start with the straightener is the culprit behind frazzled hair that won’t lie flat. “Take a paddle brush to comb the conditioner through,” suggests Guy , “then rinse your hair gently. Once you’re out of the shower, don’t towel dry like crazy! That will enhance the natural curl. Instead, pat downwards gently.” As an alternative to the traditional terrycloth towel, which promotes frizz, try a microfiber material that helps to promote sleek strands. As for your brush, Guy insists on using a nylon and bristle mix: “Nylon would cause static on its own, which is why plastic brushes are difficult to use,” he explains. “The boar bristle helps to smooth and polish. OK, so you don’t want the hair to sizzle. But how are you supposed to get runway-ready strands without the help of a little something? Try My Hair Doctor Everyday D-Tangle & Style Spray “You can use it on damp hair, which is great, and it protects up to 450 degrees and resists humidity, so it dramatically reduces the frizz factor.” Plus, it’s made without oils and silicones, which could ultimately weigh the hair down. If you have thicker or coarser hair, you could still use an argan oil such as my Hair Doctor Liquid Gold Hydrating Oil to help moisturize your hair and add more shine. If you keep your hair sections pulled taut, they’ll need less pass-throughs with the flat (and less passes mean less damage, of course). Passing over hair with the iron more than once won’t kill the hair, but you shouldn’t need to do it as much if you’re pulling your hair and creating tension. “Tension is essential,” Guy notes. “Create your tension, then pull the iron downward starting from the root.” Obviously, curly styles will find it necessary to pull, straighten, and repeat a few times, but pulling the hair taut while you straighten will help immensely. If you have the kind of hair that may frizz or curl up, finishing products are your friends, not your enemies. But we’ve already learned to avoid silicones and oils, found in most shine agents, so what’s left? “A light hold hairspray is a good idea,” Guy says. “But it’s best to wait for the hair to cool down first. Think about spraying a hot pan — it’ll sizzle and steam. Your hair will do the same thing!” He suggests spraying a boar-nylon brush with product, then combing it through for even application. “It’s the best way to make sure your hair gets hold that isn’t sticky or stiff,” she notes. If you’re flat iron is a dinosaur, you could be following all of the above steps and still ending up with less-than-flawless hair. The truth is, when it comes to straightening, the proof is in the product. Here, our pro give you some compelling reasons to break the piggy bank for a good flatiron: “The automatic shut-off feature in T3 irons is crucial. It’s a great safety feature for the girl-on-the-go,” Guy says. “Look for the recovery time,”. “A lot of cheap flatirons take up to 90 seconds to recover the temperature you set, so you’re actually losing heat as you go along. That also means heat won’t be evenly distributed between the two plates.” “Material is important,” Guy adds. 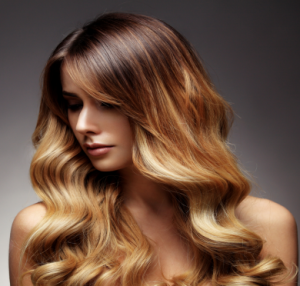 “Ceramic is softer on the hair, but that makes it ideal only for fine-to-normal hair types. If you have curly hair, look for gold or titanium.” As for size, it matters. “Never go above an inch-and-a-half,” Guy insists. “You won’t be able to reach the root properly.” Thicker irons can be good for styling, but not straightening. Tim reminds us that use a flat iron can add texture and polish to any hair of any style or length. A flat iron, he says, can even work wonders when styling short hair. On top of that, flat irons can function as a curling iron and give you beachy waves or tousled curls.